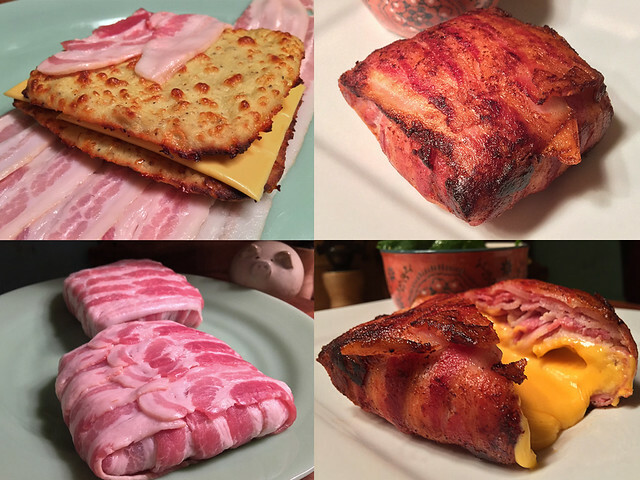 That’s right… LOW CARB grilled cheese wrapped in bacon. Instead of bread I make the sandwich with “cauliflower bread”. It does takes a wee bit of effort to make, but it’s so worth it. I use this recipe (step-by-step photos) on The Iron You website. 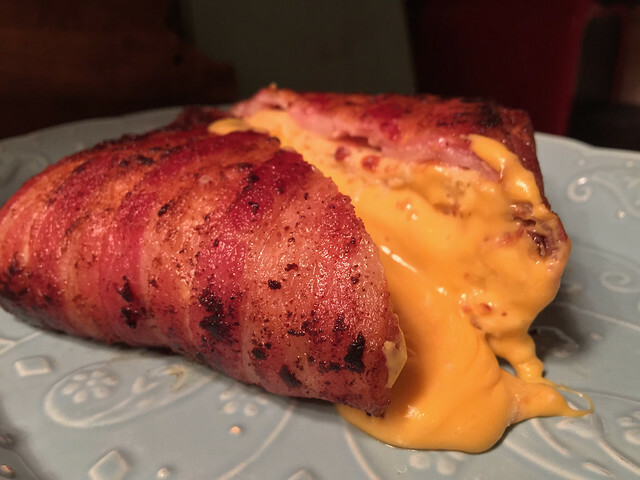 After cooling the cauliflower bread, just add cheese then wrap the sandwich in bacon. Check out the short BuzzFeed video (and photos) here. Cauliflower mix ready for oven. Cauliflower “bread” after about 20 minutes in the oven. Once it was wrapped in bacon and cooked, I didn’t miss real bread at all. If you’re on instagram, I tag all my low carb dishes with #LowCarbJo. Enjoy! 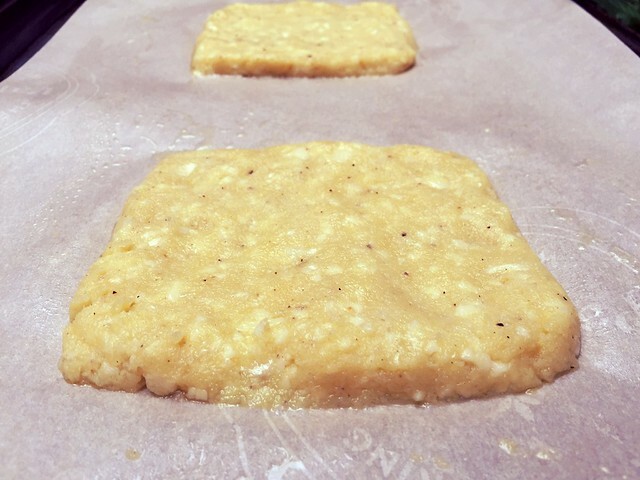 I’ve been cooking up lots of frico (parmesan crackers) lately. Mostly to top salads, but I also use them on soups and simple snacking too. 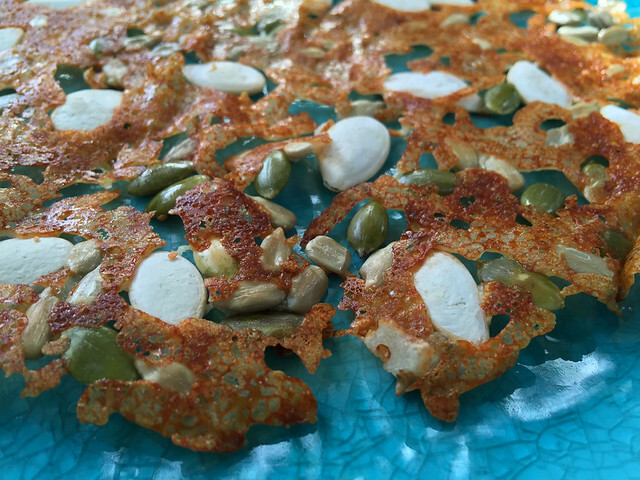 These frico with toasted seeds were a big hit at my dinner table recently. 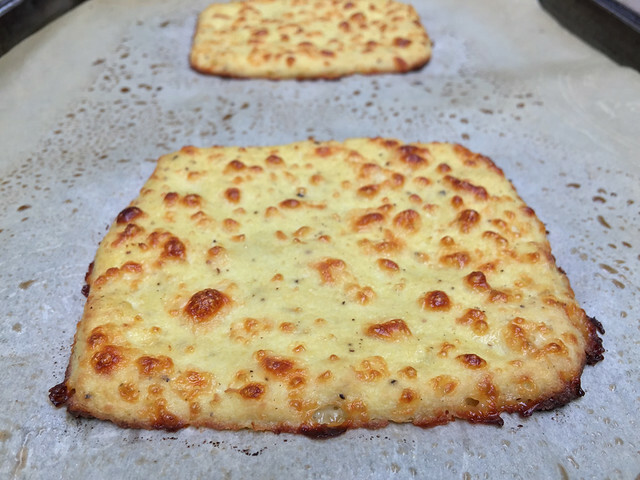 So easy to make and low carb too! 1. Sprinkle seeds in heated non-stick pan. 2. Add shredded Parmesan (Manchego is lovely too) and make sure the seeds are covered with cheese bits. Use a spatula to make a tight circle. 3. When the edges turn brown, gently start lifting with a thin spatula. 4. Turn frico (use two spatulas if needed) and cook until browned underneath. Carefully transfer frico to plate and let cool to harden. Break into pieces for salad topping or just EAT as is. This works with pieces of herbs or leafy greens too. Frico with toasted baby kale here. 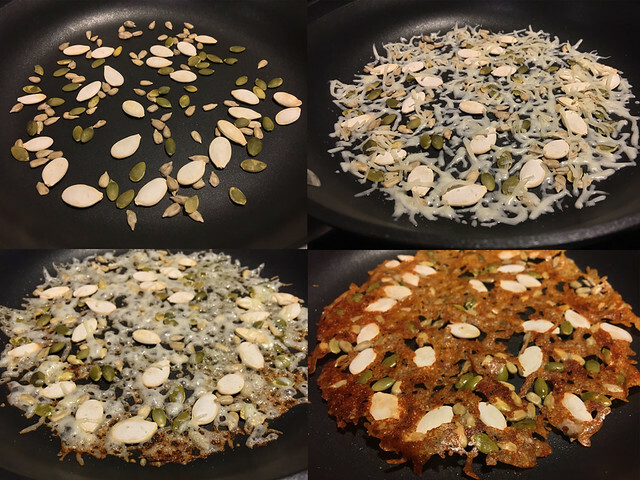 I post low carb recipes on instagram regularly. Follow me @MyLastBite or search #LowCarbJo. 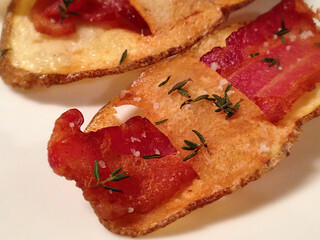 A few years ago I shared photos and a Saveur recipe for delicious Sage Potato Chips. I recently made them again and updated the photos in a set on flickr. 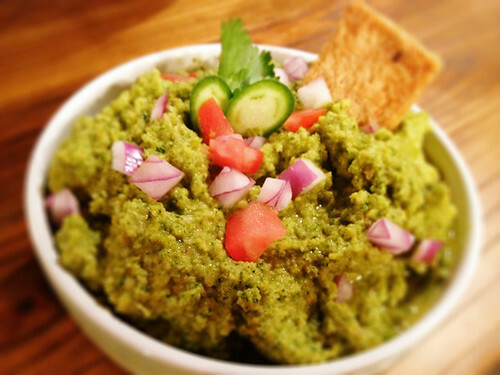 While trying to come up with a fun snack for the big game on Sunday (Puppy Bowl for me, Super Bowl for Peter), I decided to change-up the recipe with (what else?) BACON. Before scrolling down, check out the step-by-step Sage Potato Chip photos here. 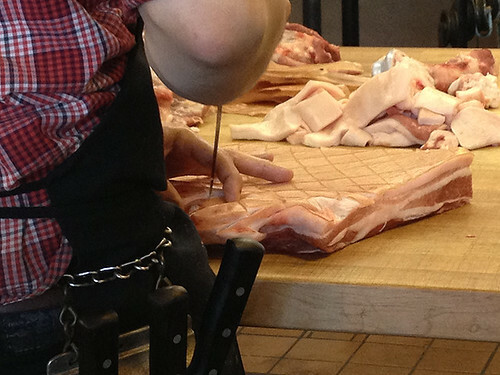 The bacon process is similar. Two large russet potatoes. You should get about 10-15 chips, depending on width of cut. Salt (and thyme if you want). Mandolin (I use a Kyocera) or use your good knife skills! 1. Clean and dry the potatoes. 2. Using a mandolin (or sharp knife), make long, even slices of the potato. Make them thick enough so the potato doesn’t tear when inserting the bacon. 3. 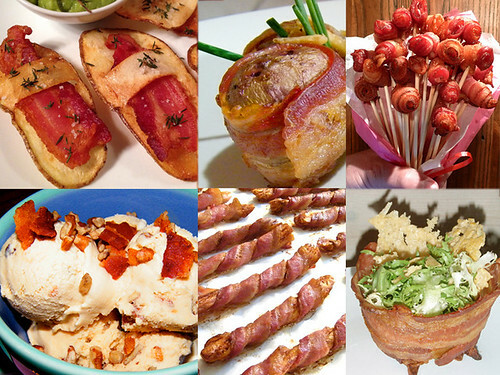 Make two cuts (photos below) in the center of the potato to hold the bacon. 3. Cut five pieces of bacon in half (or maybe in thirds depending on the size of your potato) then pan-fry the bacon until cooked about 50%. Drain and set aside. 4. The potatoes will be cooked TWICE. 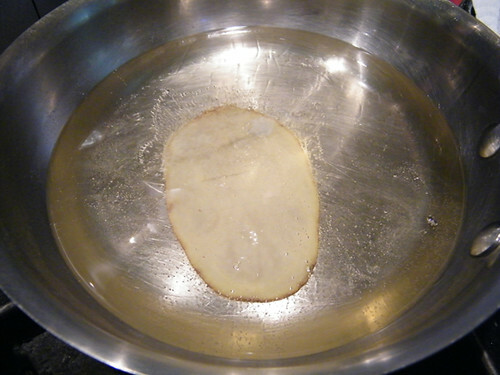 In a separate pan, heat up oil (just enough to cover the potato slices) to 200 degrees. Fry each potato slice (without the bacon ) for ten seconds each then drain. 5. 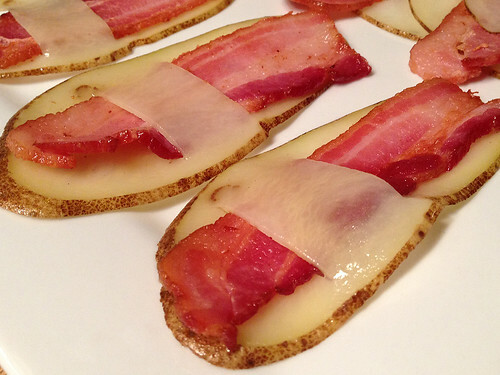 After the potato pieces cool down a bit, carefully insert the partially cooked bacon piece into the center cuts. 6. Heat oil to 350 degrees and fry until cooked to your liking. 7. Drain on paper towels and season if you want extra flavor on the potato. Fry the potato (precut for bacon) in low heat. You want it pliable enough so it doesn’t tear when adding bacon. Insert the partially pre-cooked bacon gently into potato cuts. This is what they look like BEFORE frying the second time. Fry until done to your liking then drain and season (if needed). 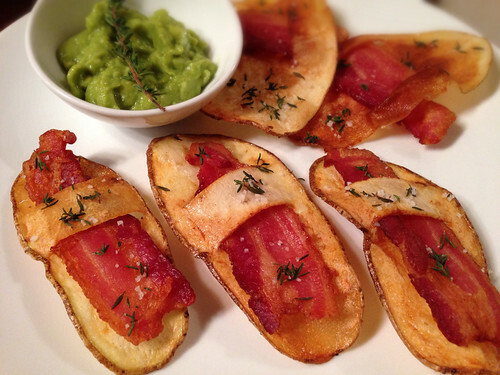 I also call these “Bacon Sandal Crisps” and served with guacamole. 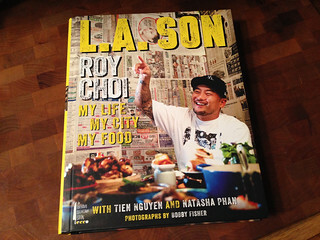 Roy Choi’s “L.A. 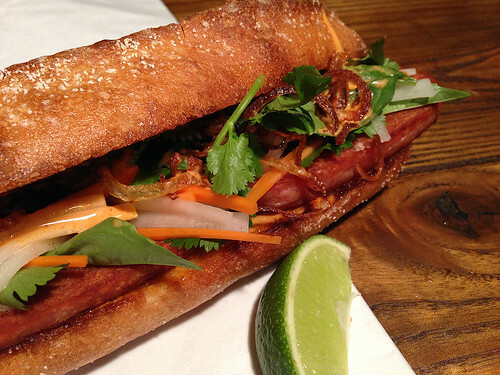 Son: My Life, My City, My Food” is a heartfelt immigrant story AND it includes a fantastic recipe for SPAM Bánh Mì (step-by-step photos below). Abounding with both the food and the stories that gave rise to Choi’s inspired cooking, L.A. Son takes us through the neighborhoods and streets most tourists never see, from the hidden casinos where gamblers slurp fragrant bowls of pho to Downtown’s Jewelry District, where a ten-year-old Choi wolfed down Jewish deli classics between diamond deliveries; from the kitchen of his parents’ Korean restaurant and his mother’s pungent kimchi to the boulevards of East L.A. and the best taquerias in the country, to, at last, the curbside view from one of his emblematic Kogi taco trucks, where people from all walks of life line up for a revolutionary meal. 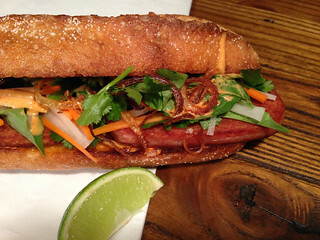 Roy Choi’s SPAM Bánh Mì Recipe (posted with permission). Enjoy! Place the daikon and carrots in a small bowl. Combine the vinegar, salt, sugar, and water in a small pot. Bring the mixture to a boil, then turn off the heat and let it cool until it’s warm. 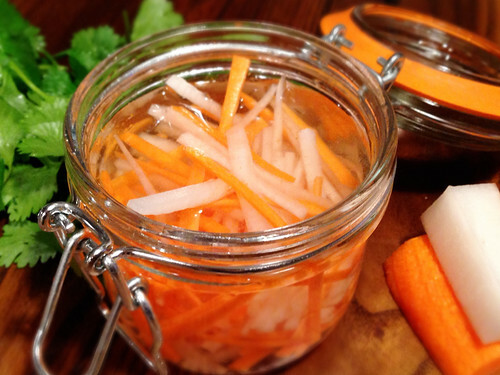 Pour over the daikon and carrots and let it sit for at least 30 minutes and up to 2 hours. Note: The second time I made this, I added fresh chiles from my garden. Instead of store-bought shallots, I made my own. 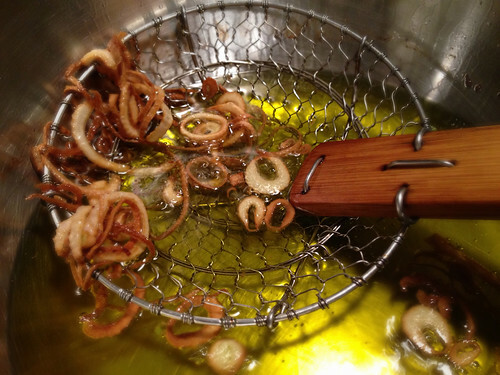 Just thinly slice shallots and fry in 350º oil until brown, then drain and lightly salt. Cut the baguettes in half but keep them intact. 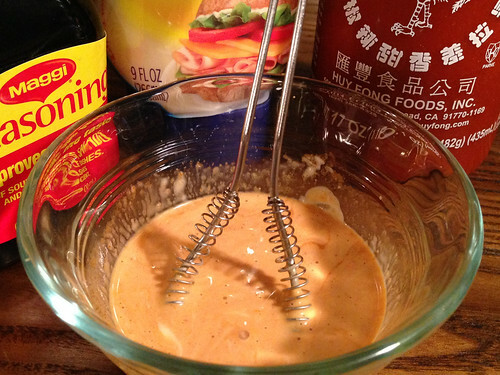 In a small bowl, mix the mayonnaise with the Maggi seasoning and the Sriracha. I’m calling this Roy’s MaggiMayCha and I’ve been slathering it on EVERYTHING! Slather the cut sides of the baguettes with softened butter and toast them in your toaster oven or in a pan over low heat until they’re nice and crispy. Set aside. 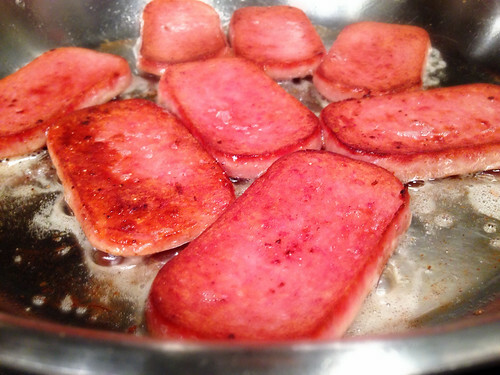 Heat the oil (I used brown butter) in a skillet, add the SPAM, and cook over medium heat until it’s golden brown in color. Transfer to a paper towels and reserve. Slather the buttered sides of the baguettes with the spicy mayonnaise. To build the sandwiches, place the SPAM on the bottom half of each baguette, then top with the pickled daikon and carrots and add a layer of cilantro and basil (I used regular basil). 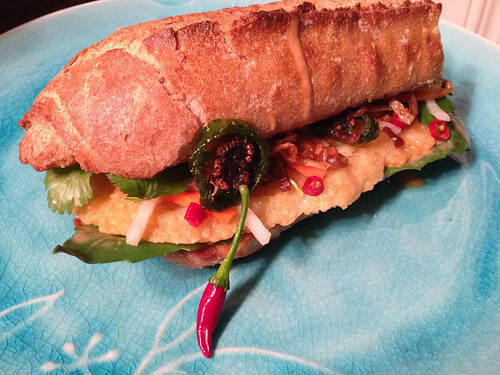 Top with the fried shallots and a squeeze of lime and close up the baguette. CRUNCH! Not a fan of SPAM? Try it with grilled provolone instead! This is a repost of my favorite “Thanksgiving Leftover” recipe. 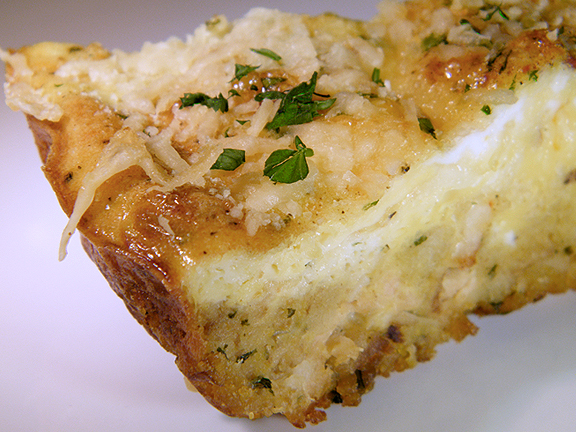 This stuffing frittata is SO easy to make for a post-holiday breakfast or brunch. Coat an ovenproof nonstick skillet with cooking spray. Place over medium heat (on stovetop). Mix stuffing and turkey in a bowl, then put mixture in the bottom of pan to warm through. Sprinkle grated cheddar cheese over top. In a medium bowl, whisk together eggs, milk, 1 tablespoon of parsley (save the rest for later), red pepper flakes, and nutmeg. Add salt and pepper to taste… it depends on how much seasoning was used in the stuffing. 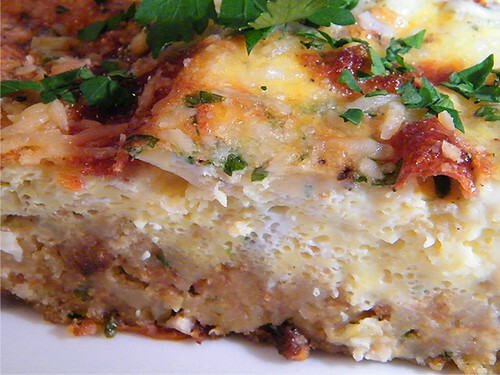 Pour egg mixture over stuffing and cheese to cover stuffing. Sprinkle Parmesan over top. Carefully transfer to preheated oven. 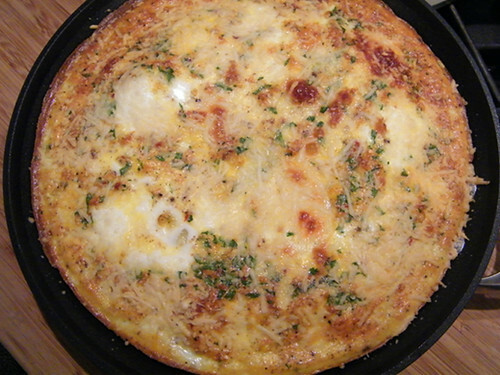 Bake until the eggs are set and the sides have puffed up a little bit and cheese is golden, about 15 to 20 minutes. Sprinkle with remaining fresh parsley. Remember: This isn’t just for “Thanksgiving Leftovers”. I’ve made it with good old Stovetop stuffing on a lovely Spring day. It’s fun, easy and super tasty! 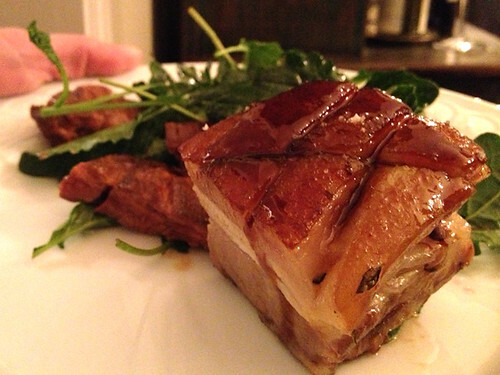 Last week I made Chef Ludo Lefebvre’s Confit Pork Belly, in celebration of his new cooking show, The Taste (on ABC). Prepping and cooking the pork was almost a three-day process, but SO worth the time and effort. Best of all? I got to share it with Ludo, his wife Krissy and a small group of friends, who gathered at the Lefebvre’s home for the premiere. If you haven’t seen The Taste yet, you can view it online here. I purchased the pork belly at Lindy & Grundy. Erte was kind enough to score the skin for me! 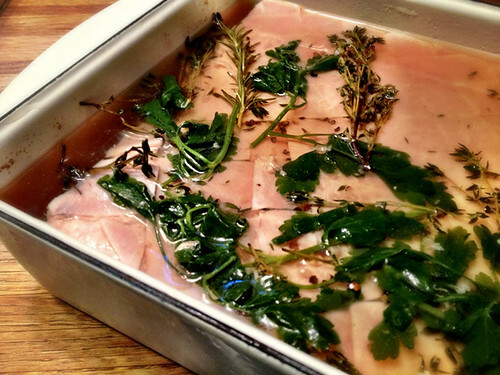 The first step is to make a brine and refrigerate for 24 hours. 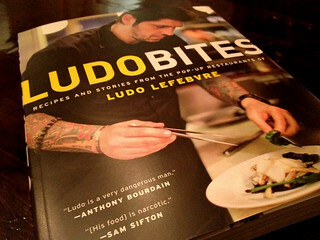 Chef Ludo’s recipe is on page 228 of his book, LudoBites. 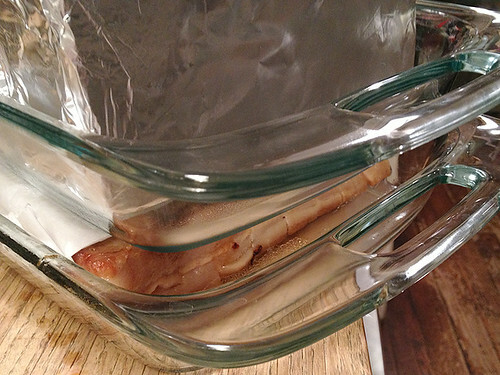 Remove the pork from the brine, then confit in lard in the oven on a low temperature. The lard was also purchased from Lindy & Grundy. After it’s cooked low and slow, the belly must be cold-pressed in the refrigerator overnight. I used two glass casserole pans and foil-covered bricks to compress the pork. 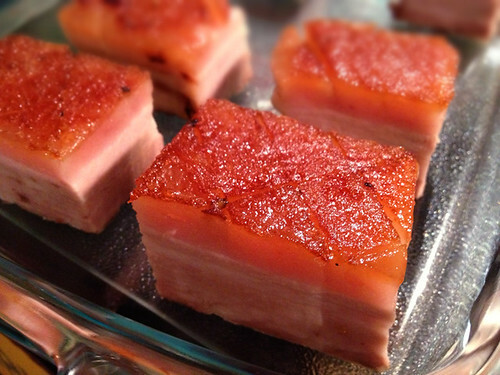 After cold-pressing the pork belly, gently cut pieces, transfer to a new pan and cook until golden brown and heated through. Combine the honey, vinegar, soy sauce and five-spice powder in a heavy small saucepan and bring to a boil over high heat. Whisk the cornstarch mixture, then whisk into the glaze to blend and return the glaze to a boil. Reduce the heat to medium-low and simmer for 1 minute. Remove from the heat and set aside. Cover to keep warm. 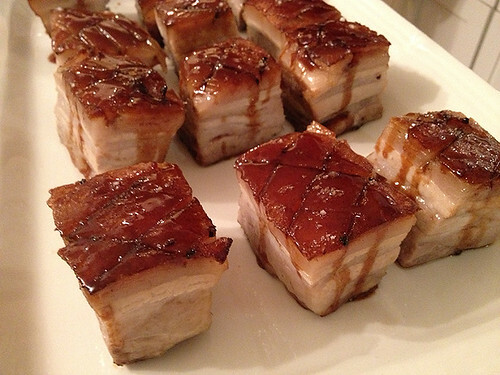 I finished the pork belly at Ludo’s home and was thrilled that he (and all the guests) enjoyed it! My Pork Belly Confit finished. The recipe is from LudoBites, available on Amazon or iTunes. I’ve cooked several recipes from the book, and have loved every bite! “LudoBites: Recipes and Stories from the Pop-Up Restaurants of Ludo Lefebvre” will be released October 9, 2012. I tested some of the recipes this past week (photos below) and have so enjoyed reliving dishes from his pop-up dinners around Los Angeles. The cookbook chronicles of the visionary, charismatic chef Ludo Lefebvre and his cult hit pop-up restaurant, LudoBites, worshiped by critics and foodies alike. Note: Ludo (and his wife Krissy) are dear friends. 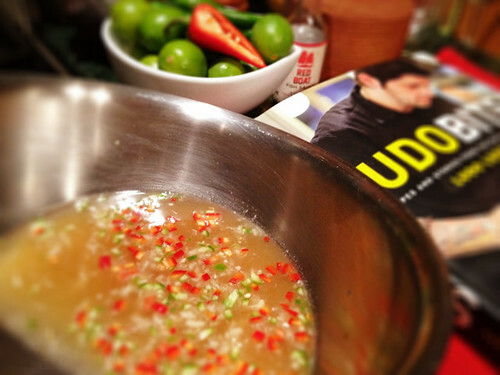 But that doesn’t stop me from being a HUGE fan of Ludo’s cooking or LudoBites the cookbook! I’ll continue to try out recipes and share the photos on twitter. 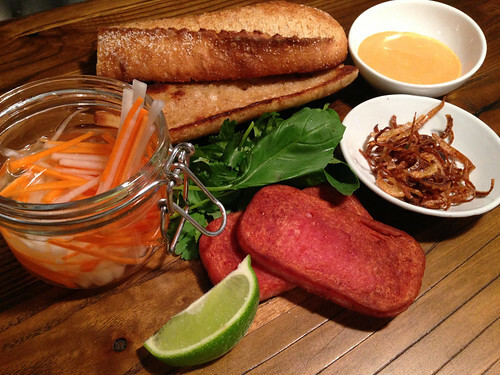 Vietnamese Vinaigrette (page 261). I spooned it over pan-fried tilapia and rice. Brocamole (page 22). Broccoli instead of avocado. We ate it with pita chips. 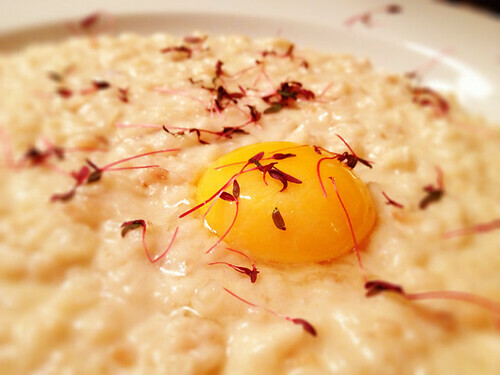 Époisses (my favorite stinky cheese) Risotto w Egg Yolk (page 340). Ludo made this for dinner a few days before I had the cookbook. I’m happy to say that mine tasted just as good! We used leftovers for baked risotto balls the next day. 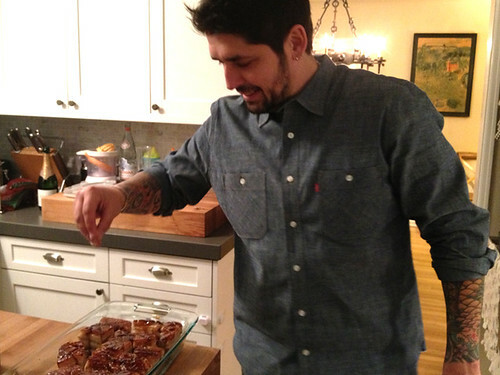 Watch Ludo on Anthony Bourdain’s No Reservations: Burgundy (video recap). You get to see his charming side and meet his grandma! Watching Ludo watch himself on No Reservations!